"If you know a teenager, you'll want to get this book in their hands. It will help them navigate the tricky waters they face today and build an identity that will last a lifetime. And I think parents who read it will learn a thing or two as well." "This book is bursting with wisdom. I've rarely come across a text that will more reshape life and thought for people pulled by a fallen world than this one. It's fun to read, it's chock-full of engaging stories, and it will connect with young readers. This is a book the entire student-group should read--and discuss, and pray over, and figure out how to practice in everyday life. We believe in a big God, a big Christ, and the satisfaction of a transformed life, and this book shows the way." "The background elevator music to all of our lives centers around the question of identity. Everyone will search for identity. Sadly most will end up in the wrong place. True Identity offers hope and points us to the only true source of identity. Because the issue John deals with is a universal one, this book is for everyone." "True Identity is an inviting call to embrace, nurture, and celebrate who God intended for us to be. Thanks, John, for the compelling way in which you point us back to the ultimate source of identity, Jesus Christ." "I wish this book had been available for me to read when I was in high school! It's packed with a lot of deep wisdom about life and illustrated with fascinating personal stories. And it's all solidly grounded in the teachings of the Bible. I highly recommend it!" "As a father of three teenagers, I believe it is critical that we engage our children on their true identity in Christ. I pray for us as Christian parents that we won't try to hide from the battles facing our teens, but instead be courageous and fight for their hearts." "The transition from childhood to adulthood is tough for teens. And the messages young people are hearing in our culture are making that transition significantly more challenging. 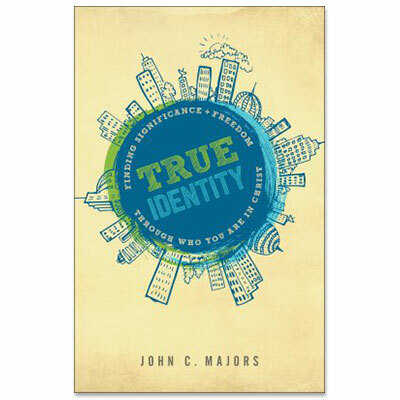 My friend and colleague John Majors cuts through the haze with skillful, biblical clarity to help teens answer the question, 'Exactly who am I, anyway?'"